Recently, Bitcoin has become an increasingly hot topic as its price has grown significantly in valuation. This price jump has caught a lot of investors’ attention, but many are struggling to understand what exactly Bitcoin is. This question itself may or may not be an existential one. To keep it simple, we will discuss the history of Bitcoin, and its perceived benefits and concerns. We promise not to get too far in the weeds with the technical details. One benefit to Bitcoin holders is that a currency, which is not backed by any central entity like a government, is not prone to the risks of inflation. When debt-laden governments print or create more money, this causes inflation and a devaluing of the currency. Since Bitcoin is not issued by a government with debt to service, this is not a risk for Bitcoin holders. In other words, the idea of a worldwide cryptocurrency, like Bitcoin, can be attractive to individuals who feel their country has issued too much debt and may devalue its currency in the future. Many people invest in gold for similar reasons, but it is difficult to actually transact in gold. Unless you are transacting with pirates in the high sea, you really cannot shave off a piece of gold to pay for goods. Additional key features of Bitcoin are that transactions are completely anonymous and fees are generally low. No one can trace Bitcoin transactions back to the buyer and no one can determine how many bitcoins someone has. Traditional currency systems can allow third parties or governments to potentially access personal financial data. Some of Bitcoins’ benefits can actually be a double-edged sword. Since Bitcoins are not backed by a government, they lack systematic regulation and oversight. 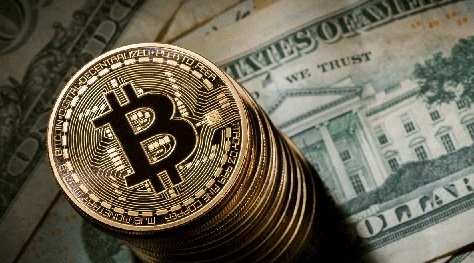 It is unclear if Bitcoin is legal in a number of countries. Some countries have made payments in Bitcoin illegal, whileother countries have offered no guidance on the use of Bitcoin. In addition, there is nothing preventing countries from banning payments in Bitcoin in the future, as regulations change over time. Because Bitcoin inherently provides anonymity for its users, criminal activity is sometimes transacted in Bitcoins. This is another reason governments are wary of Bitcoin and other cryptocurrencies. Security is also an issue with Bitcoin. Physical currencies are stored in vaults with armed guards. Digital currency is backed up on secure servers at banks and data centers. Bitcoins are stored in a digital ‘wallet’ that is saved to the cloud or on a user’s computer. This digital wallet is like a virtual bank account. However, if your hard drive crashes or a virus corrupts your data, you can lose your wallet and, consequently, all your Bitcoins. There is no back-up for these wallets, and no way to recover Bitcoins should you ‘lose’ your wallet. What about insurance, such as SIPC or FDIC insurance that protects traditional brokerage and bank accounts against insolvency? Exchanges or businesses that allow customers to trade cryptocurrencies, like Bitcoin, for conventional money may be FDIC insured for dollar deposits, but cryptocurrencies are not insured. Money should also be a store of value. Bitcoin is highly volatile and intra-day price swings can be dramatic. For example, the price of Bitcoin surged above $11,000 then plunged $1,000 in just 10 minutes on November 29. There were also reports of outages or interruptions on the exchanges that day. Setting prices in Bitcoins could be an issue with such price volatility. There is also no physical form of Bitcoins. It is 100% electronic. So, if the electric grid goes out due to a natural disaster, such as the recent hurricanes that hit Puerto Rico, Bitcoins will not buy you water or food. Without getting too far into technical details, as promised earlier, it is still important to talk about ’mining.’ As the validity of Bitcoin is dependent on the network effect, it relies heavily on users to support and grow its transactional foundation. Individuals can use special software to solve math problems that ultimately support transactions and keep them secure. This is essentially Bitcoins’ data center. For this effort, these individuals, called ’miners’ are compensated in bitcoins. One large criticism of bitcoin is that, because of the technologically intensive nature of this activity, the electrical consumption to process transactions is reportedly very high. One report by Digiconomist estimates the energy consumption of Bitcoin to be more than that of Ireland on an annual basis. So, as a currency, Bitcoin isn’t a very good store of value since it can be very volatile. It also may be difficult to spend in the traditional sense since not many institutions accept Bitcoin for payments. Security can be a concern as it is not FDIC or SIPC insured, and it is possible to lose all your bitcoins if your hard drive crashes or your digital wallet gets hacked. But what about Bitcoin as a speculative investment? Ultimately, that depends on whether this digital currency will be successful as a form of payment. Unlike companies, which are valued by dividends, earnings or expected future earnings, Bitcoin has no cash flow or expected future cash flow. The value is simply determined by supply and demand. Since Bitcoin is relatively untested as a currency, speculators should be very cautious. Currently, there are not many ways to invest in Bitcoin other than purchasing directly. However, futures exchanges may add Bitcoins soon, and this would allow investors more and different ways to get exposure to Bitcoins. Mutual funds diversification rules preclude the creation of an open-end fund with purely Bitcoins and so far, the SEC has not approved any ETFs in this space. As Bitcoin is highly volatile and may prove to be an unreliable investment, investors should proceed with extreme caution, regardless of how festive the noise around bitcoin continues to be. The material contained in this document was authored by and is the property of Cetera Investment Management. Cetera Investment Management provides investment management and advisory services to a number of programs sponsored by affiliated and non-affiliated registered investment advisers. Your registered representative or investment adviser representative is not registered with Cetera Investment Management and did not take part in the creation of this material.